The view from the balcony is very good you can watch the sunset, not noisy at all, good size, beds Ok as well, perfect! The staff was friendly, very helpful and they were always on our disposal when needed. Room was cosy, and clean and it had a beautiful view at the sea in which we enjoyed everyday. Regarding that, we must say that the location is great, really close to the see. In conclusion, the facilities were defenatily above of our expectations, and they were realy worth the money we payed. Fantastic staff the best we have ever come across especially montse in reception .the place was so clean great Athmosphere all over. Very clean well run & excellent location more for the more relaxed clientele & as no entertainment but close to everything if you want it great staff friendly &good job not a place to take young kids. Location is great. 10 mins walk to amazing beach. 25 mins by taxi from airport. a lot of shops, supermarkets and cafes. the gentleman on reception was very polite and helpful. Staff are excellent, especially Roberto who has a great sense of humour and is a very likeable person. Location is great, beside everything. Lovely pool. Miami bar next door, for your last drink is a must. Dominic will look after you. This was our second year in a row to visit the Caribe. Will be back. Breakfast was very good.The location was a bit far from the centre two of our party had to get taxis all the time. Overall it was a lovely quiet place to stay i would come back here again. 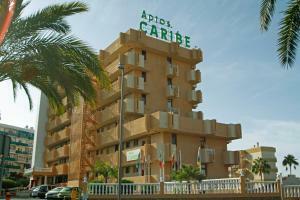 Lock in a great price for Apartamentos Caribe – rated 8 by recent guests! Apartamentos Caribe This rating is a reflection of how the property compares to the industry standard when it comes to price, facilities and services available. It's based on a self-evaluation by the property. Use this rating to help choose your stay! 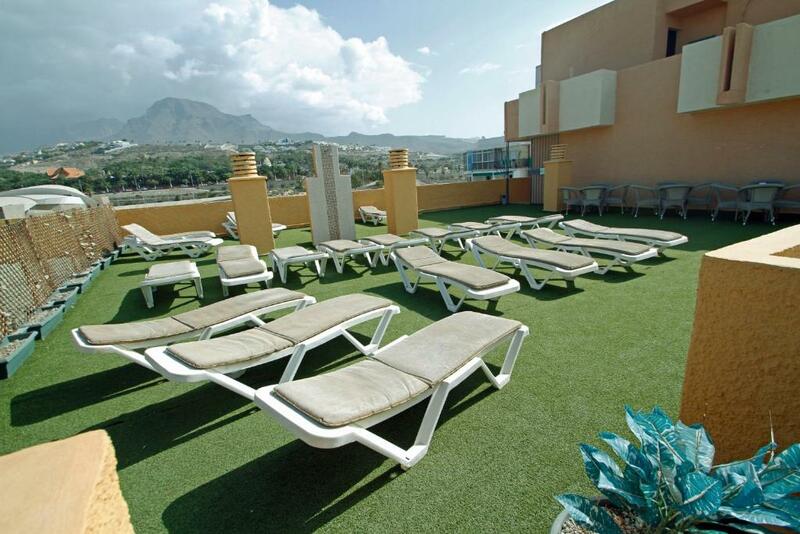 These apartments are in Tenerife’s Playa de las Américas resort, 350 feet from Magma Conference Center and 1,950 feet from Siam Park. 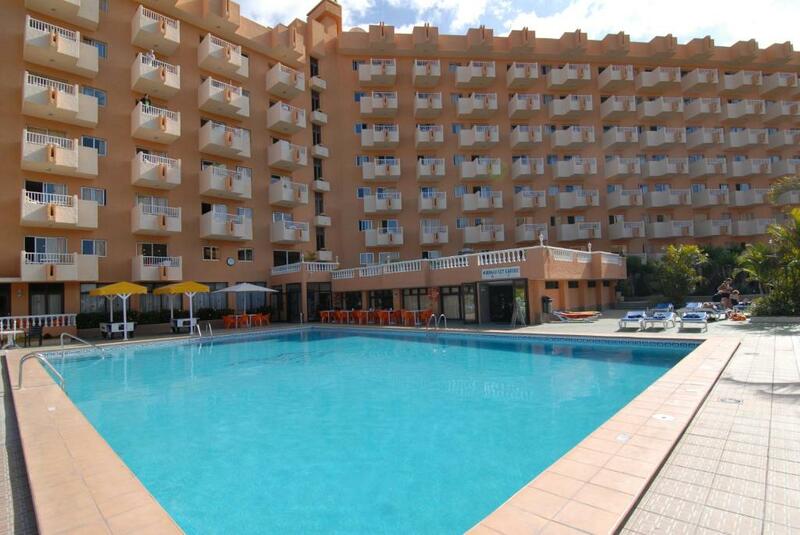 There is an outdoor pool heated in winter and all apartments have a private balcony. There is a tennis court, mini golf and a games room at Apartamentos Caribe. Golf Las Americas is under 0.6 mi away. The property has a tour desk and you can hire a car, electric motorbikes or bicycles at the apartments. a 24-hour reception is available for guests. Only a few miles from the Caribe Apartments you can discover rural attractions such as Barrance del Infierno Cliff, Teide National Park and several charming, small towns. When would you like to stay at Apartamentos Caribe? This apartment has a twin bedroom, lounge, bathroom and balcony. This apartment has a twin bedroom, a lounge with a sofa bed, bathroom and balcony. It has sea views. This apartment has a twin bedroom, a lounge, bathroom and balcony. It has pool views. This studio accommodates 2 people in 2 single beds. It features a sitting area with satellite TV and a kitchenette with a fridge, microwave and cooking utensils. Intentamos que el cliente este contento , ya que esta muy bien situado. Tenemos unas playas muy bonitas y muchas zonas de ocio. House Rules Apartamentos Caribe takes special requests – add in the next step! Apartamentos Caribe accepts these cards and reserves the right to temporarily hold an amount prior to arrival. Guests who cause noise disturbance for other guests may lose their deposit and be asked to leave the premises. A safe is available for hire in the apartments. Free WiFi for 1 hour is offered per customer per day in the bar and lounge. I dont think there was anything we didnt like, i forgot to mention the staff were brilliant. We loved hospitality in the hotel! The location is also perfect. No hair dryer, one of socket was in bad condition, microwave oven doesn`t work because plate in it wasn`t the right one for that model, WiFi only in lounge, no cooker hood. 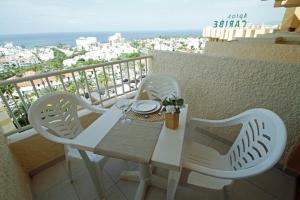 Location is very good, apartments cleaned daily, at night is quiet, fantastic view. Free WiFi was in lounge and weak. Towels and sheets were firstly missing, replaced by staff after notifying. Breakfast option was scarce, witch was included in room price. Location is very good, bus stop, beach, shops etc.. Staff was friendly and helpful. Exellent view to ocean. Possibility of extra conveniences for extra price.